Delicious courses for the perfect rustic steak dinner, from salad (beet salad with tangerines) to dessert (creamy caramel pudding). 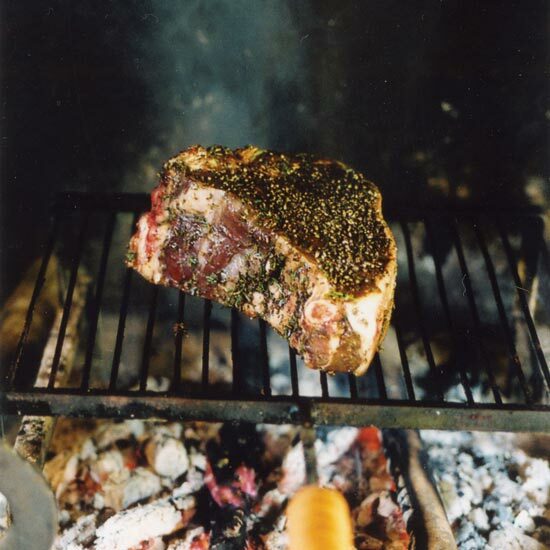 Chef Nancy Silverton adores the Tuscan town of Panzano, where she buys thick porterhouses to make this classic recipe. Chef Matt Molina and his entourage prepared the dish on their last night in Italy, marinating the meat in olive oil, balsamic vinegar and rosemary. 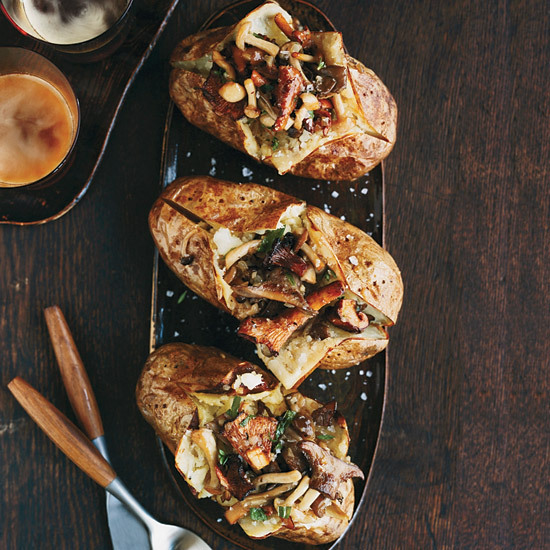 F&W's Grace Parisi likes using a mix of shiitake, oyster, chanterelle and button mushrooms for this succulent ragù to top baked potatoes, but any combination will work. 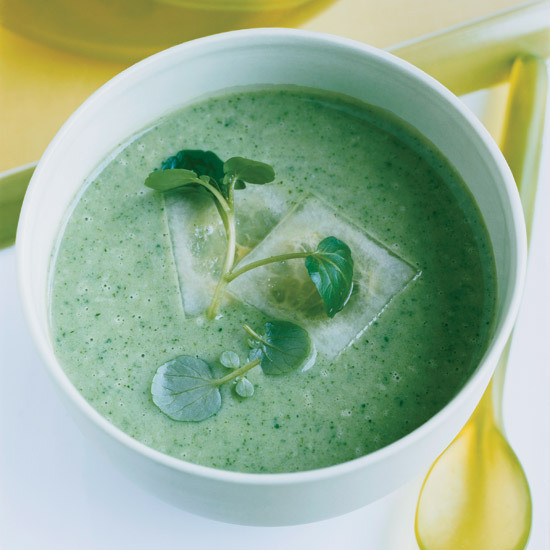 Quick-pickled cucumber slices give this delicate, fresh-tasting soup a little zing. 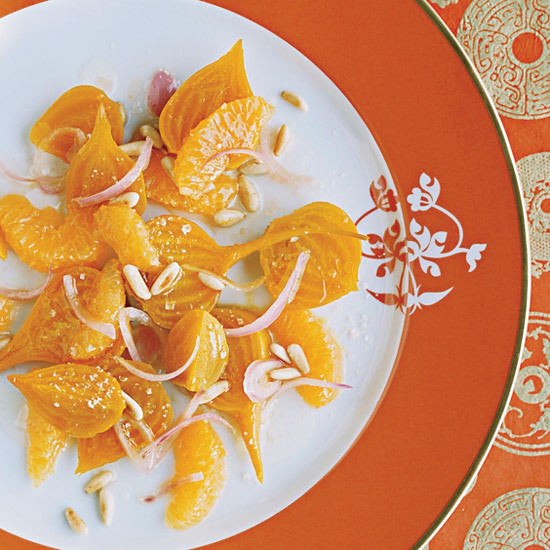 This clever recipe uses sweet-tart tangerines two ways: Sections of fruit are tossed into the salad, and tangerine juice flavors the vinaigrette. 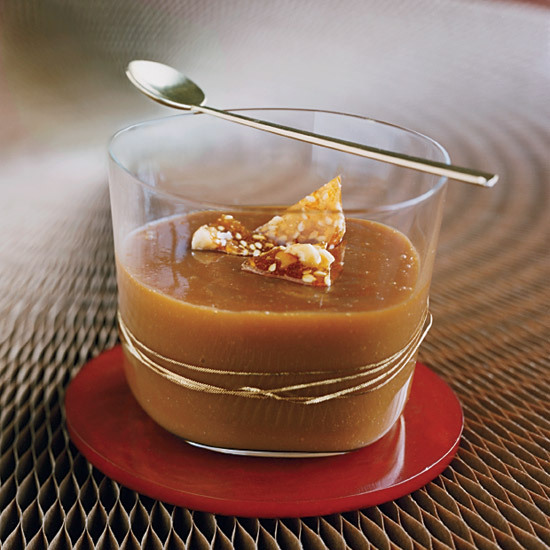 This decadent-seeming pudding is low in fat and a good source of calcium.